The Victoria HarbourCats are announcing today that Brad Norris-Jones is stepping down as General Manager of the organization effective January 31, 2019, for an opportunity that will be made known in the near future. 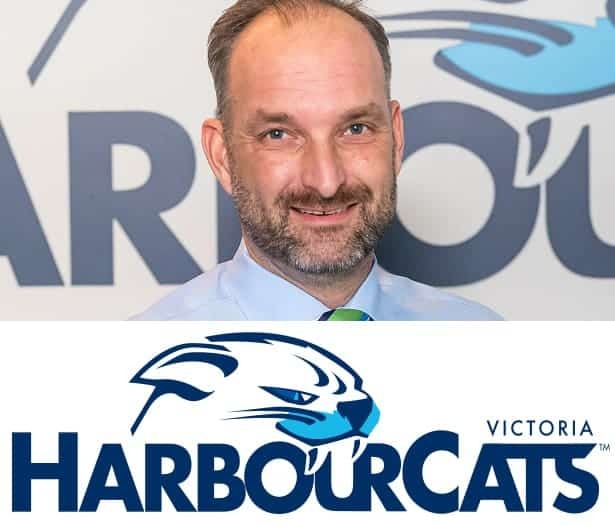 “We want to thank Brad for his six seasons with the HarbourCats — we worked very closely together to build a franchise that will be around in Victoria for a very, very long time, and we’re all excited for the future,” said Jim Swanson, Managing Partner, who is stepping back into the GM role on an interim basis. Further front-office adjustments will be made soon. The team has strong support with Swanson and the ownership group backed by Christian Stewart, John Pollard, Curtis Pelletier and Richard Michaels.